Altares Group, the company data experts, has announced Luc Querton's appointment as CEO as of 4th January 2019. He thus joins Altares at a time when the group, supported by its shareholder Naxicap, is turning into a major player in technological solutions for enriching data. Eric Aveillan of Naxicap said: "Under Luc Querton's leadership, Altares will considerably boost its technological innovations to keep pace with changes in its legacy markets and roll out new offers for new segments and geographies." Luc Querton will bring Altares his experience in developing and integrating technology companies. "Altares's human capital and innovation potential are fantastic development drivers. I'm thrilled to be serving our staff, our prestigious clients and our longstanding partners, including Dun & Bradstreet," he said. 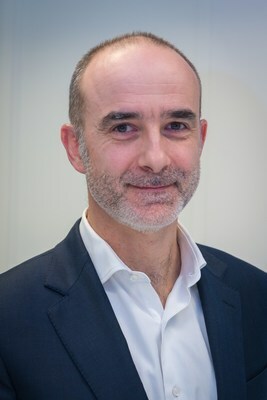 Luc Querton, 48, a Belgian national who has lived in France for twenty years, has a background in new technologies, more specifically in the financial services sector over the past fifteen years. He has had a successful career with IBM, Business Objects/SAP, Unisys, NetEconomy/Fiserv, and most recently Fircosoft (a RELX company), where he served as CEO before joining Altares Group. Company data experts, Altares collects, structures, analyses and enhances B2B data to make it "smart" and facilitate decision-making for businesses' senior and operational managers. The group offers its expertise across the entire data value chain. The exclusive partner in France, Benelux and North Africa of Dun & Bradstreet, the world's leading international B2B information network, Altares is the partner of choice for corporate accounts, mid-caps and SMBs, offering them unprecedented access to its databases of over 300 million companies in 220 countries. As one of the top private equity firms in France, Naxicap Partners - an affiliate of Natixis Investment Managers* - has €3.2 billion in assets under management. As a committed, responsible investor, Naxicap Partners builds solid, constructive partnerships with entrepreneurs so that their projects can succeed. The firm has 35 investment professionals spread across five offices in Paris, Lyon, Toulouse, Nantes and Frankfurt. Natixis Investment Managers serves financial professionals with more insightful ways to construct portfolios. Powered by the expertise of 27 specialized investment managers globally, we apply Active ThinkingSM to deliver proactive solutions that help clients pursue better outcomes in all markets. Natixis ranks among the world's largest asset management firms with more than $1 trillion assets under management (€861 billion AUM). Headquartered in Paris and Boston, Natixis Investment Managers is a subsidiary of Natixis. Listed on the Paris Stock Exchange, Natixis is a subsidiary of BPCE, the second-largest banking group in France. For additional information, please visit the company's website at im.natixis.com | LinkedIn: linkedin.com/company/natixis-investment-managers. Natixis Investment Managers includes all of the investment management and distribution entities affiliated with Natixis Distribution, L.P. and Natixis Investment Managers S.A. Natixis Distribution, L.P. is a limited purpose broker-dealer and the distributor of various registered investment companies for which advisory services are provided by affiliates of Natixis Investment Managers. Provided by Natixis Investment Managers UK Limited which is authorised and regulated by the UK Financial Conduct Authority (register no. 190258). Registered Office: Natixis Investment Managers UK Limited, One Carter Lane, London, EC4V 5ER. 2Net asset value as at September 30 2018, Assets under management ("AUM"), as reported, may include notional assets, assets serviced, gross assets and other types of non-regulatory AUM.